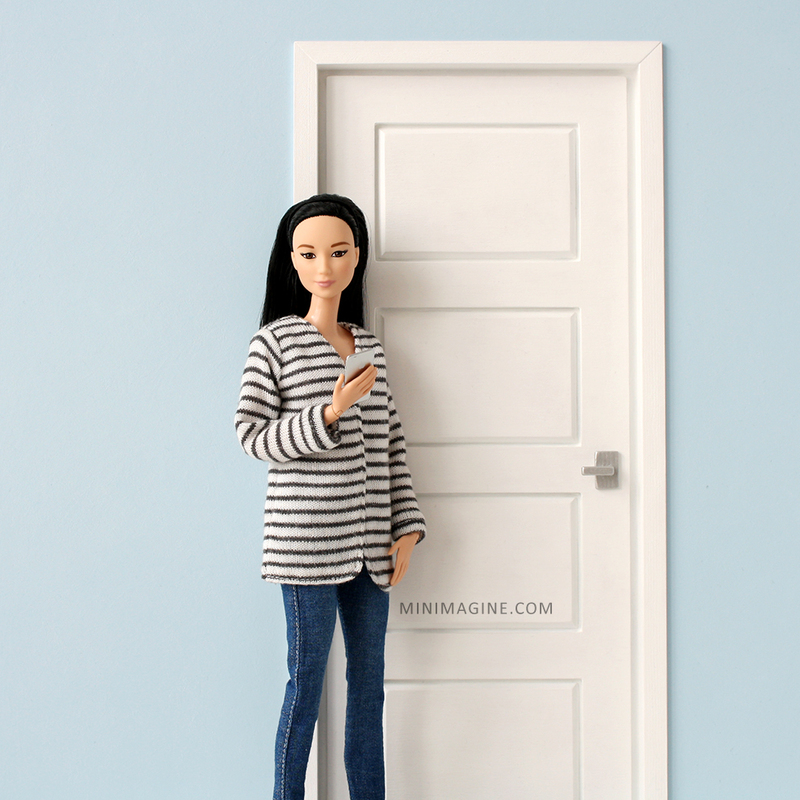 Today I present another roombox for dolls in 1:6 scale (like Barbie). There are three walls and medium size floor from my modular system of roomboxes. Both side walls are new - one with door and one with new type of window. Walls are painted in pale blue, and wooden floor is whitened. Sign up for the mailing list to be informed when and where to buy a roombox for your dolls.